Crafts Council update on the 2012 demographic figures, with methodology that makes them compatible with DCMS standards and SOC codes. Uses a definition that includes those using craft skills in the wider economy (ie not necessarily in a creative business), which from a visual arts perspective seems likely to make the results less useful. 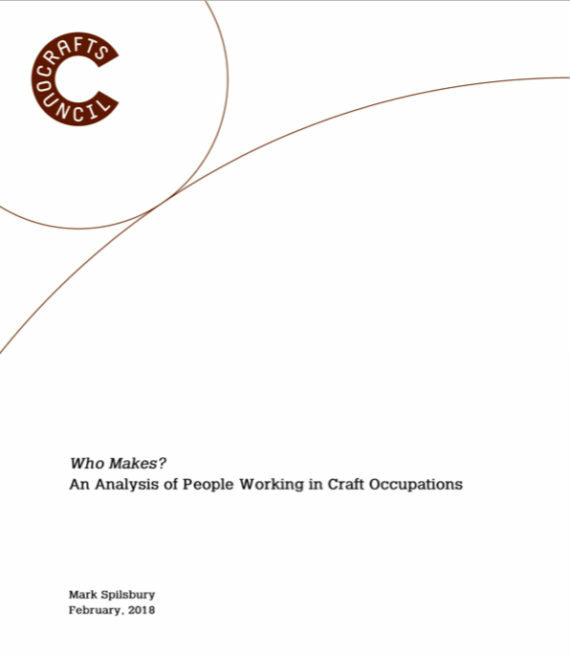 On this basis, the report shows it likely that workers in craft occupations are: 80% male, white and aged over 50, lower qualified than the overall workforce, with 40% self employed. Women are more likely to be part-time and self-employed. Wages for men and women are likely to be less than the national average.